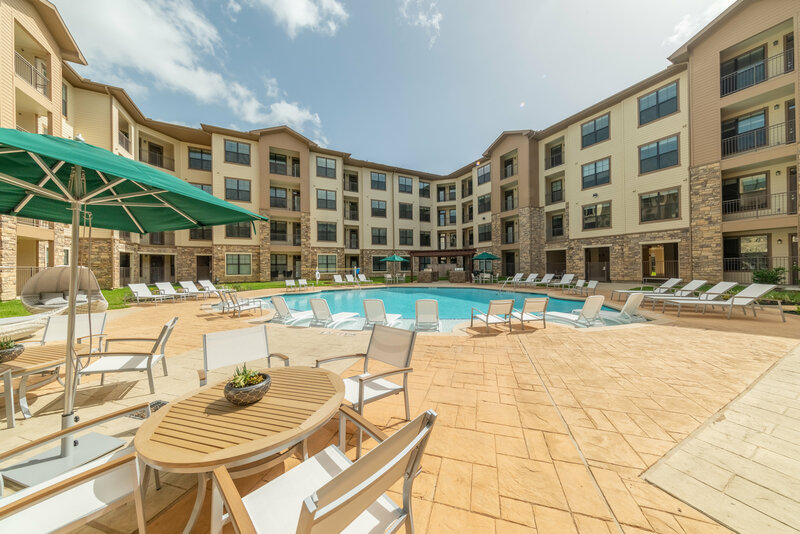 HOUSTON – (Realty News Report) – American Landmark, a fast-growing multifamily firms in the nation acquired an apartment complex near the Astrodome – the seventh Houston project for the firm. The firm purchased the 282-unit Haven at Lakes of 610. The seller was a joint venture of Guefen Development and The Rainier Cos.
American Landmark will rename the project “Aspire at 610” and will spend $1.45 million for improvements. The project, about two miles from the Texas Medical Center, which has more than 100,000 employees, was completed in 2018. American Landmark’s improvements will add faux-wood plank flooring, USB plugs, and smart locks in all units. Amenity improvements will include the addition of a dog-washing station, fire pits, package locker system, clubhouse and landscaping enhancements. Aspire at 610 is a four-story community located at 8900 Lakes at 610 Drive. One- and two-bedroom units feature washer/dryer machines, granite countertops, black appliances, plank flooring in first-floor units, and kitchen islands. Amenities include a clubhouse, large pool with sundeck, and business center. The Aspire at 610 complex is located just south of Loop 610.